Home / MITM / Socks, Where Do They Go? A new study has revealed just how many socks go missing in the UK every year – proving that we’re all useless at laundry or that socks have minds of their own! Amazingly, 84 million socks go walkabouts every single year, costing us a whopping £2 billion annually. A survey of 2,000 adults found that most get lost under the bed, blow off washing lines or drop behind radiators and furniture. I don’t know about you, but I find most of my missing socks inside duvet covers! 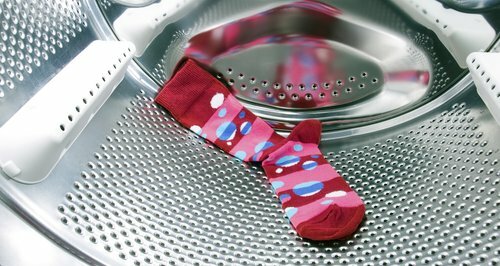 The study also found that men are the worst offenders, with just 26% caring whether their socks are in matching pairs! And A = Attention paid, measured as the total number of precautions taken at the start of each wash out of checking pockets, unrolling sleeves and turning clothes the right way around. Go on, give it a try I dare you!